"Marvel's plain clothed superhero badass. Private investigator and sometime alcoholic." Marvel's latest Netflix superhero packs a punch that will leave you coming back for more, episode after episode. Jessica Jones is Netflix's newest addition to the superhero universe and in doing so has made this Marvel's most adult comic book transition to date. Don't expect any PG-13 red, white and blue Captain America style antics here. 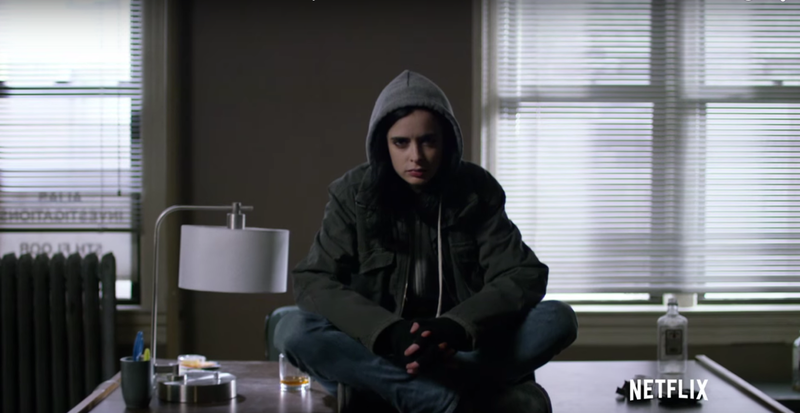 This is more home to regular scenes of a bottle of booze slugged straight from the bottle in ripped jeans and a leather jacket, Jessica Jones is badass make no mistake. Jessica Jones is a say what you think, don't apologise later, Private Investigator (her own firm is Alias Investigations) working run of the mill cheating spouse cases. Her cloudy past catches up with her as she realises her arch nemesis and former captor, Killgrave (Tennant) is alive and in her city. 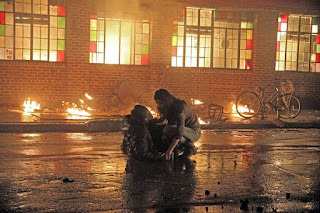 The series then revolves around the unravelling of Jessica's back story and the present day struggles for her and the the small group of people around her. Marvel have been building a galactic media empire of outlets for their characters for years now. You have The Avengers and all the lone movies of each character. Then there's Spiderman movies (rebooted and rebooted), Ant-Man (surprisingly good addition in 2015) and then more recently Daredevil (another gritty Netflix TV show and a sister series to Jessica Jones definitely worth a watch). Luke Cage is slated for next year again on Netflix and this all being tied together by The Defenders TV Series. A busy time ahead for super heroes! 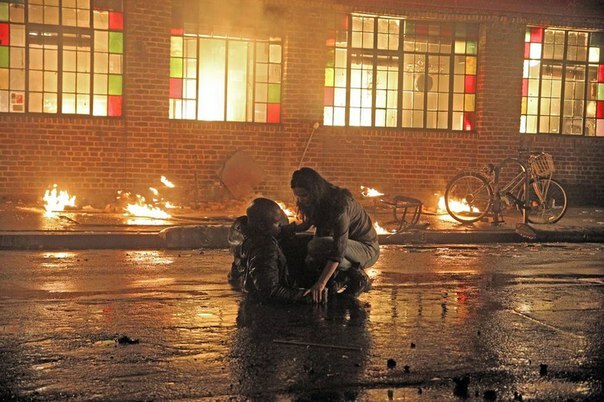 Luke Cage is the off again on again love interest throughout Jessica Jones and as any avid comic book readers will know, the two characters are heavily intertwined in the Marvel lore. The great thing about this series is you don't need to know anything about the comic book world, origins or marvel spin offs. You don't even need to like the superhero genre. There are no costumes or capes in this and often we aren't even sure what super powers the characters on screen actually possess! Doctor Who fans are in for a treat and a shock, seeing David Tennant playing the mind controlling baddie throughout the series, Kilgrave. The powers and the actions of this character alone make for a very adult series as opposed to the Spiderman or Thor style genre others might be used to. We also see the return of Carrie-Anna Moss of The Matrix fame playing the high powered lesbian lawyer and sometime co-conspirator to Jessica. Finally, the title character, played by Krysten Ritter is sensational. Many many should recognise from Breaking Bad and the short lived comedy with old Dawson (James Van Der Beek) Don't Trust The B*tch in Apartment 23. She is both funny, a badass and vulnerable throughout the series and often all at the same time. I feel there is plenty more of her backstory to be revealed and this can only be a good thing for all concerned as it is great TV. This series continues the huge step-up in quality for the comic book TV series genre. The very hit and miss reception to Agents of S.H.I.E.L.D and Marvel's Agent Carter is further compounded by the excellent Daredevil and now even more so in Jessica Jones. Proving the doubters wrong and giving a new audience a fast paced, layered story that can be binge watched whether you want to or not. If I had one criticism and please don't mistake the fact that I loved this show, it's that the main baddie story line could have been resolved sooner. A resolution around the three quarter mark of the series could have led us onto a new storyline rather than having this one arch for the season's entirety. But hey that's just me! Go watch this immediatley but don't make any early spin class appointments for the following day as you are sure to be watching just one more episode long into the night. Have your say so & please comment below!